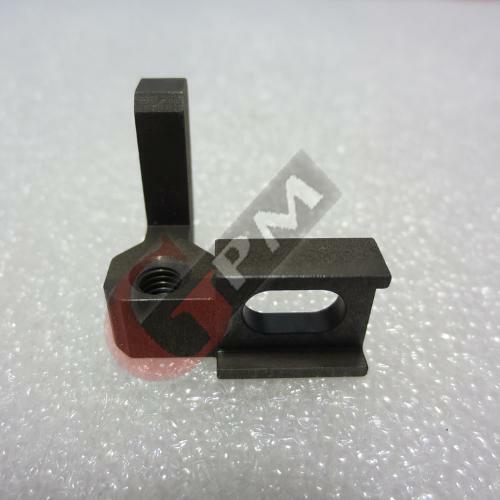 JAGDEEP FOUNDRY, Machine tools - metal machining, Cast Iron T-slot table, Cast Iron T-slotted Base Plate, on EUROPAGES. Established in 1967, Jagdeep Foundry has acquired a unique blend of technique and technology which has enabled the company to accomplish many feats of excellence. 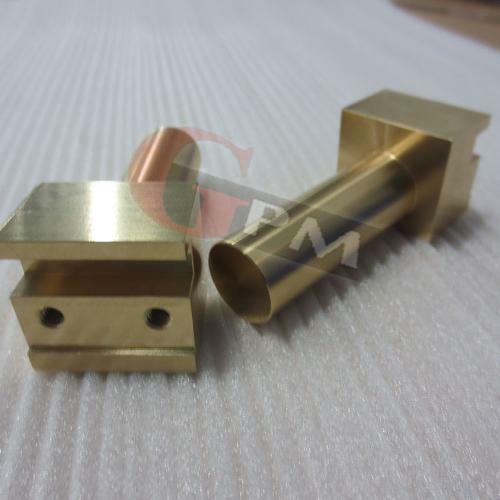 Serving the Heavy Industry, the company has developed many Special Purpose Equipment, CNC Machine Tools & Accessories, Precision Surface and Inspection Equipments, T-Slotted Bed Plates etc . 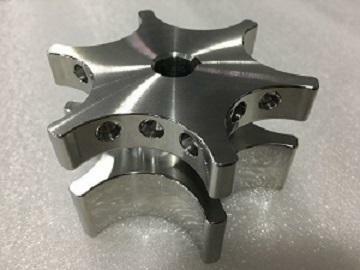 Many challenging jobs involving intricate/ critical machining were accepted and completed in record time. We have institutionalized quality in everything that we do. From processes to people to products, focus on quality touches every constituent of our organization. We lay emphasis on continuous improvement and performance excellence to ensure high standards of quality in our products and solutions. We recognize the value of its customers and is sensitive to their needs. Prompt and consistent service is one of the reasons that our products have become the standard by which others are judged. Cast Iron Floor Plates / Bed Plates. Automated Cast Iron Foundry Shop. Automotive Testing Expo Europe https://drive.google.com/file/d/1qbicXWP... 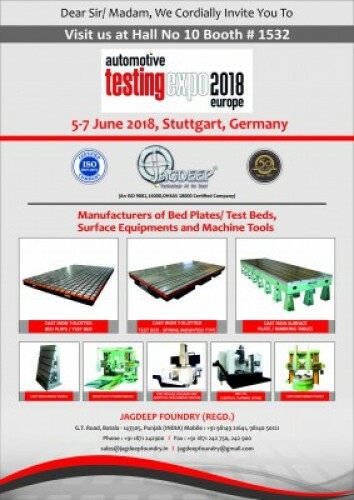 Automotive Testing Expo Europe in Germany from 6th of June to 7th of June.